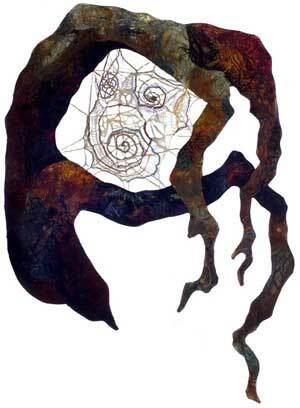 In 1999 a small group of women gathered together with a vision of a "new" type of quilt exhibit. At that time topics such as spirituality and inspiration were not always understood or welcomed at traditional quilt shows, and all-medium liturgical art exhibits generally featured few if any quilts. 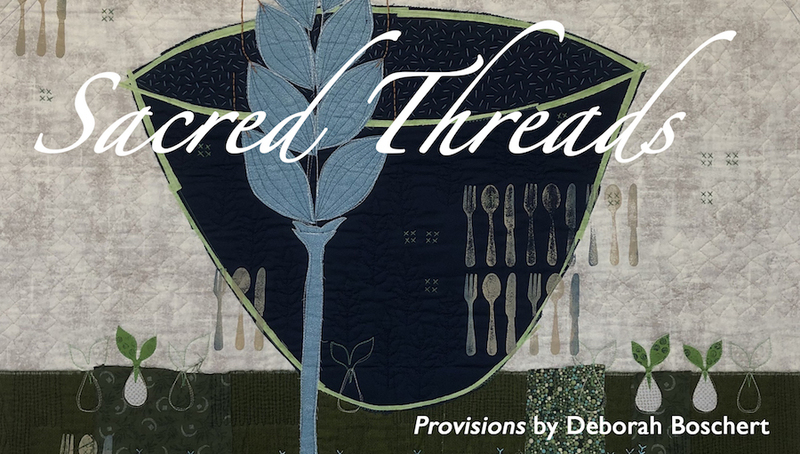 There was no "safe" or welcoming venue for quilters who saw their works as a connection to the sacred and/or as an expression of their own spiritual journey. Often the meaning behind these works was missed or misunderstood because the artist did not have the opportunity to share their sources of inspiration with the viewer. Founder Vikki Pignatelli and the other committee members wanted to create a dignified exhibit of artwork that would touch all those who viewed it on both spiritual and personal levels. We wanted to share the experiences of quilters whose stories would be a source of healing and strength for others by allowing the artist to submit a statement which would be exhibited with the artwork that described the meaning or inspiration for the piece. In a hectic era when people are searching for meaning and spirituality in their busy lives, we felt this concept would be accepted and welcomed. Our hopes have been fully realized and each of the Sacred Threads Exhibits (in 2001, 2003, 2005, 2007, 2009, 2011, 2013, 2015, and 2017) has been well received. The show does not emphasize any particular religion or theology but conveys the spirituality, healing and inspirational messages that transcend all people. Following the 2009 show, founders Vikki Pignatelli and Wendy Bynner handed the reins over to Lisa Ellis and friends. The 2011 and subsequent four shows have been held in the Washington DC area. The 2019 exhibit planning is underway with leadership provided by Lisa Ellis (Chair), Barbara Hollinger (Curator), Carole Nicholas (Logistics), Susan Lapham, Bunnie Jordan, Sandi Goldman, Susanne Jones, Anne Winchell, Shana Spiegel, Audrey Lipps, Lauren Kingsland, Elaine Evans, Starla Phelps, Sarah Entsminger, Willa Downes, Christine Vinh, and Diane Dresdner. To learn more, view our YouTube Videos. (There are many more videos on our Stories page). 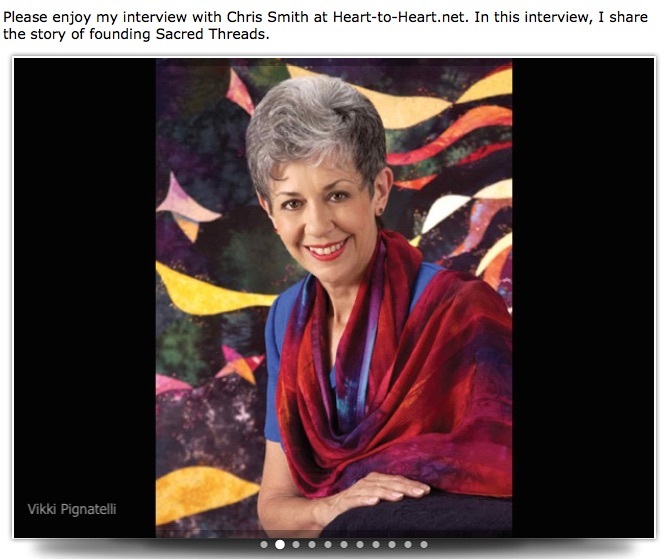 Click Here to visit Vikki's website and listen to the audio interview with Chris Smith.